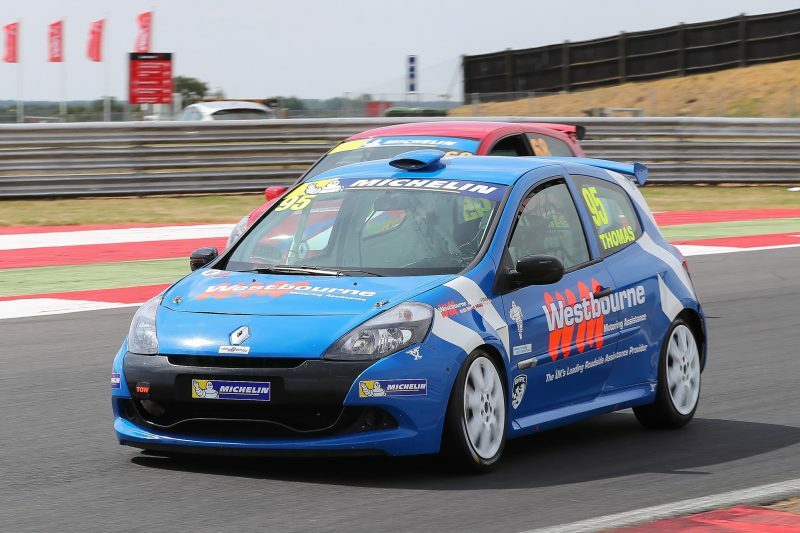 After his maiden weekend in the Race class of the Michelin Clio Cup Series, Westbourne Motorsport’s Sean Thomas has been effusive in his praise of the 2.0 litre, third-generation Clio Cup car. Snetterton marked Thomas’ return to action in the highly-competitive single make category having switched cars from his race-converted Renaultsport 197 model to familiarise himself with the Race Series machinery before a full assault on the title in 2019. The car is a proven quantity on the UK racing scene, having served in the flagship Renault UK Clio Cup in support of the British Touring Car Championship until 2013. Thomas qualified in the top ten for both races around the 2.99 mile Norfolk venue before battling hard to take home a brace of seventh placed finishes. Speaking to the team’s official website, he paid tribute to the handling and cornering speeds in his new car and also found the grip on Michelin’s slick tyres an impressive step forward. “My first weekend in the Race Series threw up some very competitive racing, but the new car feels great and everybody at Westbourne Motorsport have done a fantastic job in preparing it,” he commented. “The handling of the third-generation Clio compared to the race-converted Renaultsport 197 is very different, the cornering speeds are much higher and the level of grip on the Michelin slick tyres is phenomenal. The championship reconvenes on Anglesey’s Coastal circuit for a special triple-header over the weekend of 01-02 September. Tagged Michelin Clio Cup Series, Sean Thomas. Bookmark the permalink.